Corvettes are true legends supercars for all automobile lovers since their first launch in 1953. 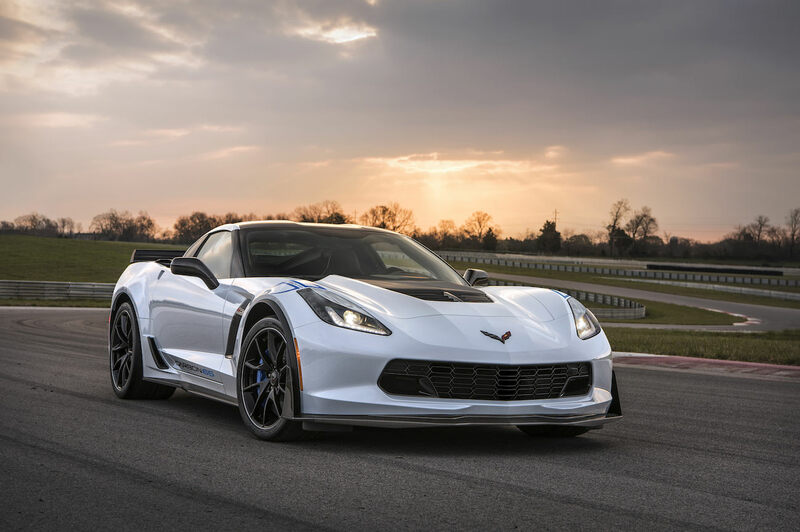 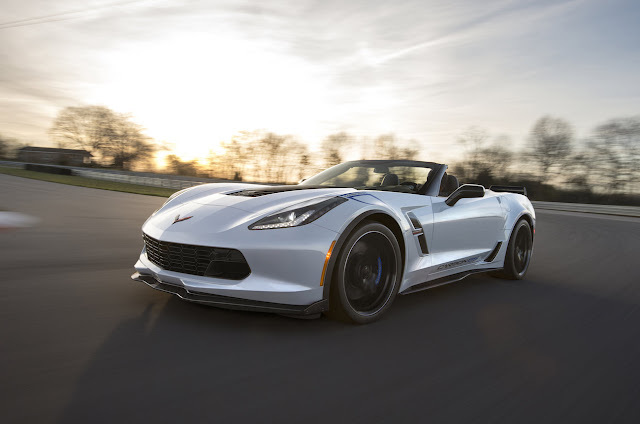 Then Chevrolet has decided to celebrate its superstar 65 years with a whole new version in carbon fibre: the Chevrolet Corvette Carbon 65. 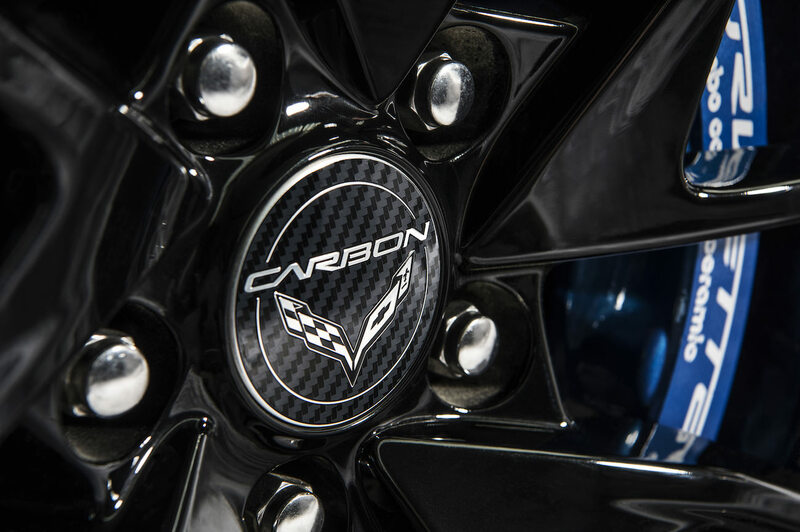 Chevrolet Corvette Carbon 65 wears carbon fibre from rims to top, and is available on 2018 versions of Grand Sport 3LT and 206 ZL. 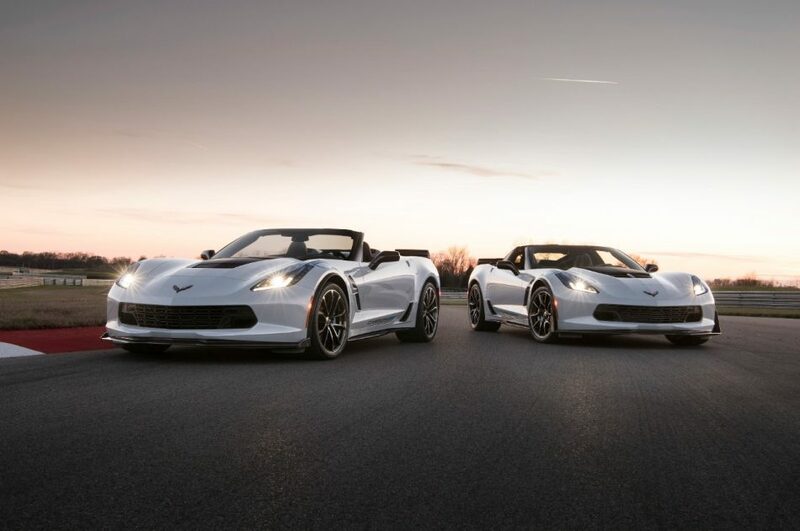 But these exclusive versions will only please few lucky owners around the world because they will be strictly limited to 650 vehicles. Then we can observe Chevrolet Corvette Carbon 65’s new elements in carbon fibre and particularly the new rear spoiler and side air intakes. 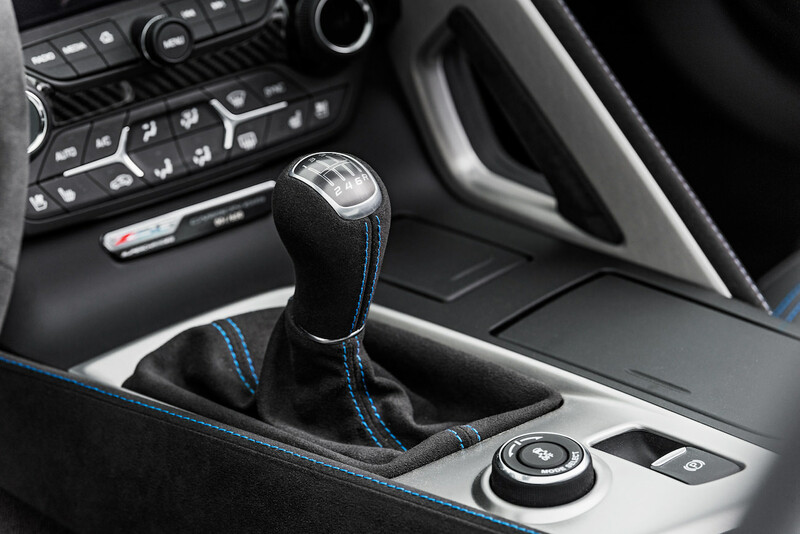 Inside, the sublime material is also predominant like on the new steering wheel and through all glossy carbon elements all around the cockpit. 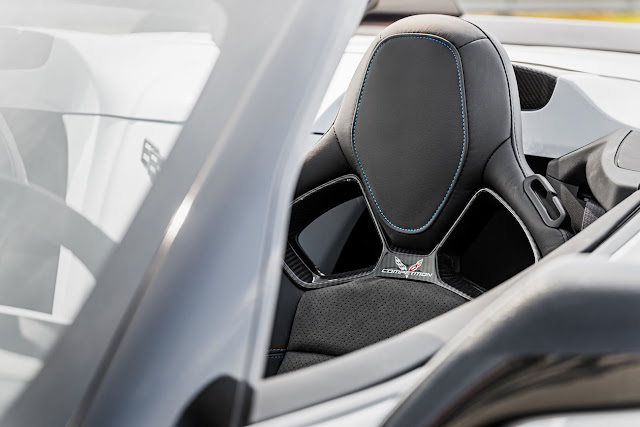 If the chosen external colour for Chevrolet Corvette Carbon 65 is Ceramic Matrix Gray, the cockpit wears Jet Black suede with deep blue stitching. 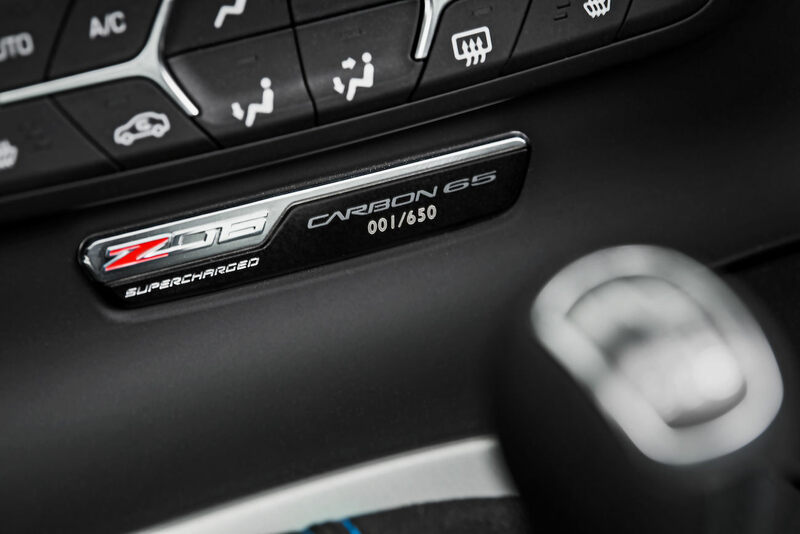 Through the entire vehicle we can also appreciate the different Carbon 65 Edition sill plates and other carbon-fibre badges, but also sport seats or black wheel adorned with blue brake calipers. 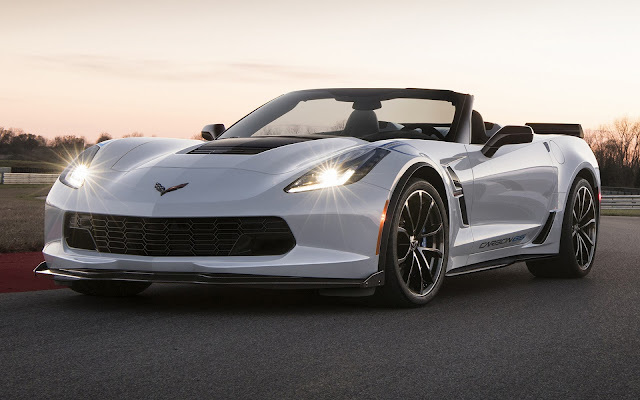 For the future owners who choose the convertible car, the roof appears to be in the same blue as interior stitches. 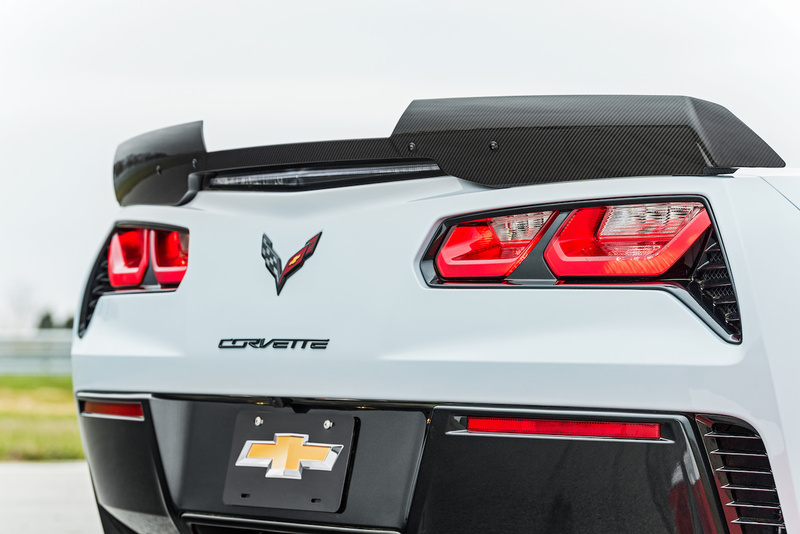 And the whole package will cost 15.000$ in addition to the 2018 high-end vehicle’s price. All Corvette vehicles announced for 2018 will surely be as exceptional as Chevrolet Corvette Carbon 65. 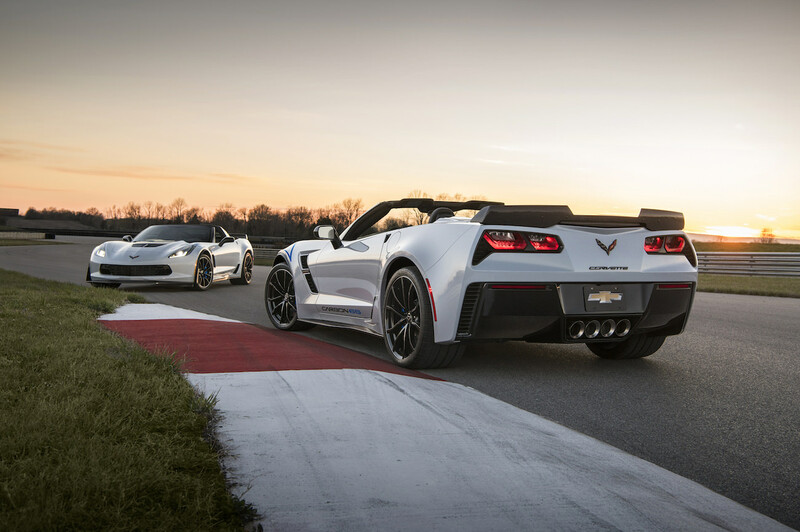 If they will not show such a stylised appearance, they are nevertheless equipped with many assets. So Chevrolet Corvette Carbon 65 and other Corvette vehicles from the future range will be equipped with an HD radio as standards, optional Performance Data Recorder, improved rear camera with higher resolution and many other amazing features that will surely transform these future vehicles in new automobile legends.